For years, I have envied Pam Burr Smith's mastery of the flow of discursive poetry--nothing creeps into the poem without her intention. In the present book, the poet is alive to pleasure, but each poem has a core of grief. Sometimes this grief is the hidden subject of the poem. Always, for me, another hidden subject in her poetry is story as a means of explaining the world...I'd like to give Pam that job. 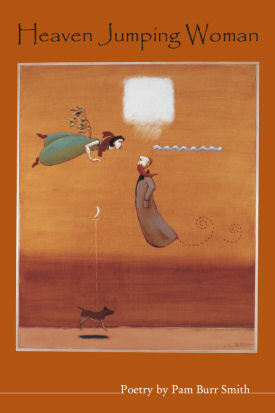 Pam Burr Smith's poems of keen observation show us the magic and mystery in everyday moments. Their metaphors delight--"A falsetto sweet and round as butter cookies," dogs "whining like the worried violins of history". They often surprise and often amuse and frequently touch the heart with their tender revelations.